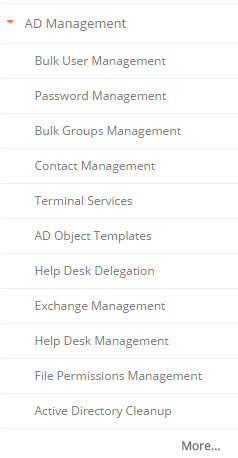 ADManager Plus is an utility which easy-to-use software destined to manage Windows Active Directory. It allows managing and reporting and there is also free version. Note that the tool installs itself as a 30 days trial of paid version which offers a lot of features. After 30 days the tool becomes free-only which has “Standard” features (limited to 100 per AD). Day-to-day admins or technicians, consultants, the tool might be your interest. If you don’t like Powershell the easy to use GUI is for you. Let’s have a look at the options and possibilities. At first you have an option to install x32 or x64 version of the tool. The download is about 74 Mb. Also note that there are Android and iOS mobile apps are available for FREE in all editions to facilitate Active Directory user account management on-the-go. To be tested… The free edition is restricted to 100 domain objects, but has all features as Standard edition. The enterprise edition has then the possibilities to manage OUs in mass. Too many to show them all. Locate inactive user or computer accounts and disable, delete, move or enable Active Directory accounts in seconds. 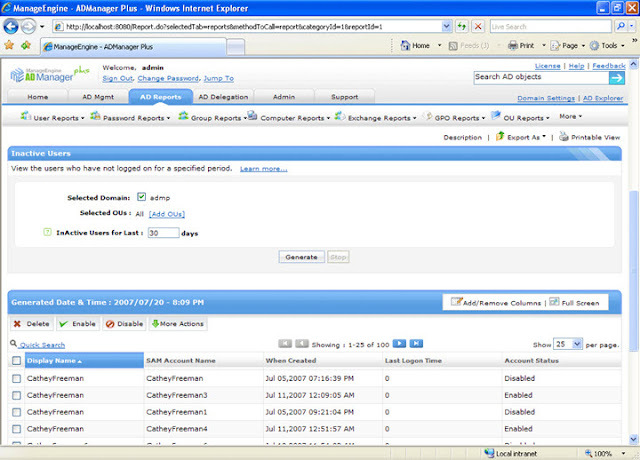 ADManager Plus allows trace out all inactive, disabled, account-expired users and computers in Active Directory. You can delete, disable, enable or move these accounts to cleanup your Active Directory effectively and efficiently. To be further tested in my lab, but already I see it as a solid product for any size type organization.